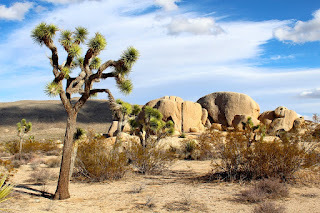 JOSHUA TREE NATIONAL PARK: The desert wonderland is ideal for those seeking dry and warm conditions during their workout. Mountain climbers and those looking for a surge of adrenaline will revel in all of the rock faces just asking to be climbed and scaled. Because rock climbing is a serious calorie blaster, Joshua Tree National Park is a great place to work up a sweat in the desert while feeling good about your cardio efforts. Located in Southern California and straddling both the Mojave Desert and the Colorado Desert, this park is named for its network of twisted Joshua trees of the region. Sweeping views of the Coachella Valley give this park a distinctive desert vibe. 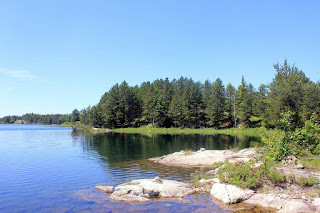 VOYAGEURS NATIONAL PARK: This unique park is located near International Falls, Minnesota, close to the Canadian border. 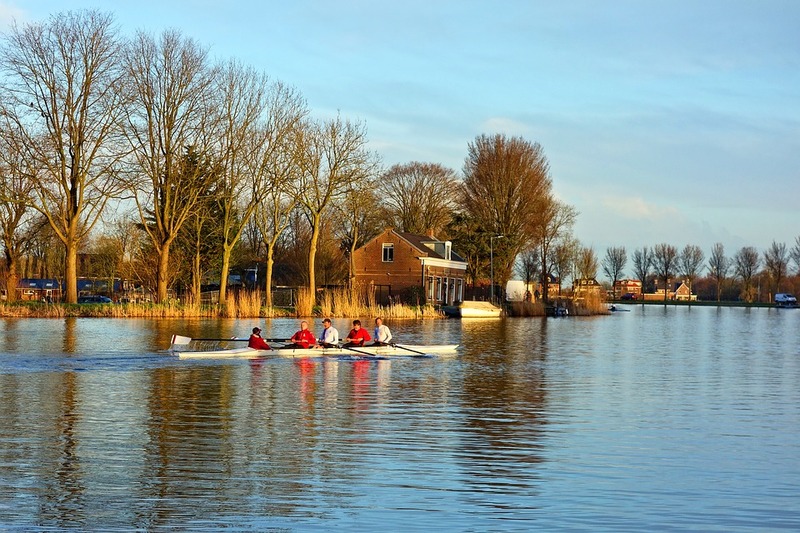 The area is most known for its large network of waterways, creating an oasis for those who love being out on the water. Exercise enthusiasts will delight in the many opportunities to kayak, canoe, and SUP their way through a workout. The remote location makes Voyageurs National Park the perfect place to get away from the hustle and bustle of everyday living. Unlike some national parks that can get extremely crowded during the high tourist season, Voyageurs is a haven for peace of solitude. ROCK CREEK NATIONAL PARK: This urban oasis is conveniently located in Washington, D.C., making it a quick escape to those city dwellers who want to get away from the lights and noise of the nation's capital and connect with nature. 32 miles of wooded trails beckon runners, walkers, hikers, and bikers. The Thompson Boat Center provides the opportunity to rent kayaks and canoes if a water workout is what your body is craving. Those looking for a competitive team sport can take to the many tennis courts or the 18-hole golf course. GOLDEN GATE NATIONAL PARK: This jewel is one of the most visited national parks in the country. And for good reason. The San Francisco park gives visitors plenty of opportunities to get in a good workout while providing amazing views of the city landscape at the same time. The experience of biking along the Golden Gate Bridge and taking in all of its majesties never gets old. The urban location delivers a variety of group exercise class options located in the park. 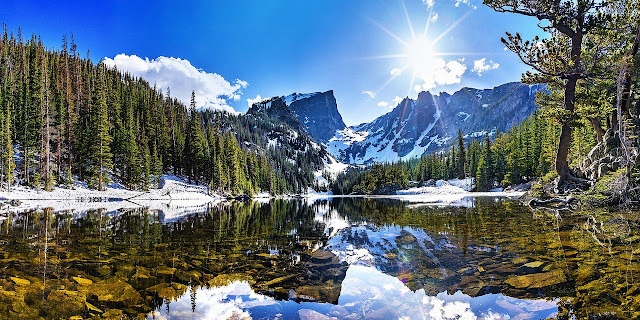 ROCKY MOUNTAIN NATIONAL PARK: There is no shortage of outdoor recreational opportunities in Colorado, but this gem in Estes Park is top of the list. In the winter, the snowy mountains of the region deliver a host of skiing, snowshoeing, and snowboarding options. However, the workout fun does not stop when the temperatures warm up. The summer, spring, and fall provide a bevy of opportunities to work up a sweat while running, hiking, or biking through the many trails. When are you done with your workout, the quaint town of Estes Park is a fun place to grab a bite to eat or do some shopping in the historic downtown area. 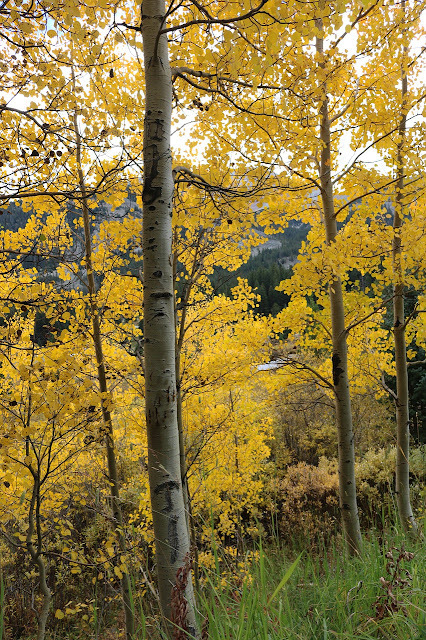 Whatever your workout fancy, America's national parks provide something for every personal need and preference. The only thing left to do is lace up your shoes and get moving! 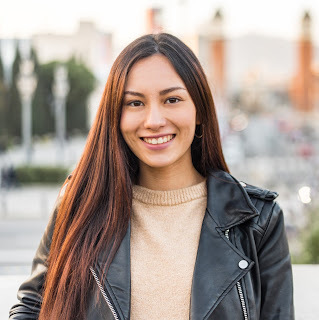 Ella, Content Manager for trekbible , is a writer and content specialist with a predilection for learning and exploring new places and cultures around the world. With family scattered throughout the U.S. and South Korea, she loves to see cross-cultural influences around the world. Her favorite thing to do on her travels is to taste the local cuisine of each destination. Guest Post by Alicia Kate. Previously in ‘12 Tips to Stay Fit with Modern Lifestyle’, one of our recommendations to get into great shape was to take up a new sport. Athletes are some of the fittest and healthiest people on the planet for a reason. In the context of fitness, playing sports is ideal for burning fat because it burns a lot of calories and you enjoy the activity so you strive harder and end up burning more than you would simply exercising. If you are looking for a new sport here are 10 calorie burning sports you should consider. Many of the exercises below are ideal for Summer, but can also be done other times of the year. 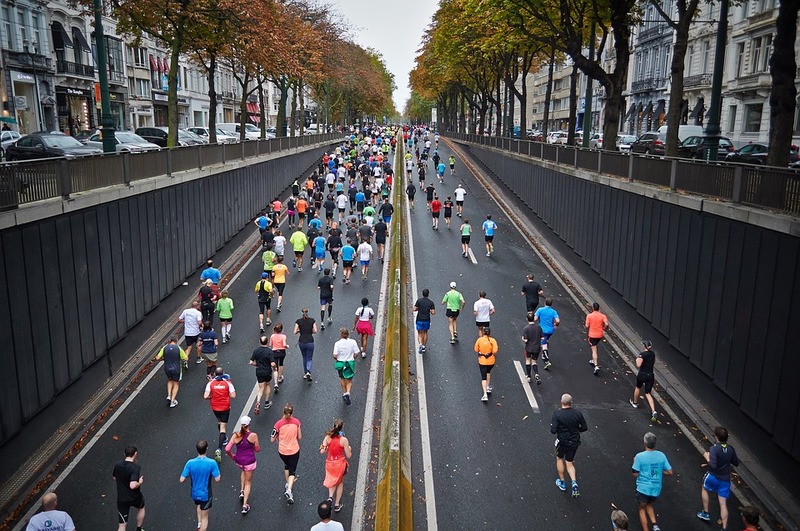 Running a marathon burns thousands of calories, with a 130 lbs runner burning 2,224 calories during a typical 26.2 mile course. A 165 lbs runner, on the other hand, will burn 2,822 calories, while 210 lbs runner will burn 3,593 calories. 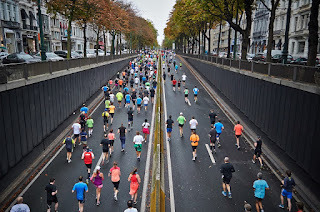 Marathons are the perfect way to get fit due to the training involved to be in good enough shape to be able to run one. A lot goes on when you play basketball. You run and sprint back and forth between the two hoops on the court frequently. You move constantly both to score and to block shots. For all that constant effort, you will burn upwards of 400 calories per hour depending on your body size. A fun session with friends is enough to get the heart racing and burn a lot of calories. 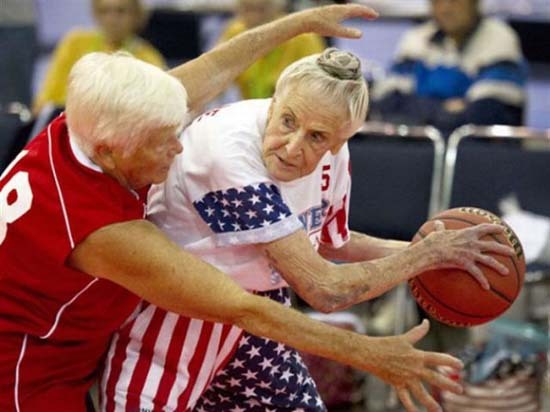 And there is no age limit for playing many sports. Some people keep playing well into their old age. Soccer is one of the best sports for getting into great shape, with some sources claiming that 900 to 1,400 calories per hour are burnt - although it really varies on how much they are running and the size of the individual player. Soccer players are some of the fittest athletes due to the intensity and pace of the game. A match typically lasts for around 96 minutes. While you most likely won’t be playing for that duration of time, a quick soccer game with friends can still provide a very good workout. Concussion concerns in football are real, so we are recommending less physical versions of the sport—touch and flag football, and also rugby which requires a less violent method of tackling opponents. While physical contact may be prohibited in touch and flag football, you will still burn 600–900 calories an hour as you will be doing a lot of running, sprinting, pivoting, catching, and throwing. Tennis is akin to a full body workout, with your upper and lower body, along with your back and core, getting an intense burn. You will burn a lot of calories simply by moving around the court, and you will burn quite a few more swinging the racket. 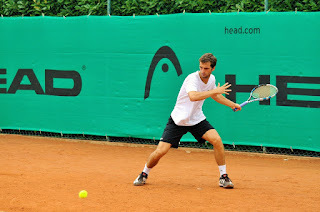 An hour of a singles tennis match will burn approximately 400–500 calories. 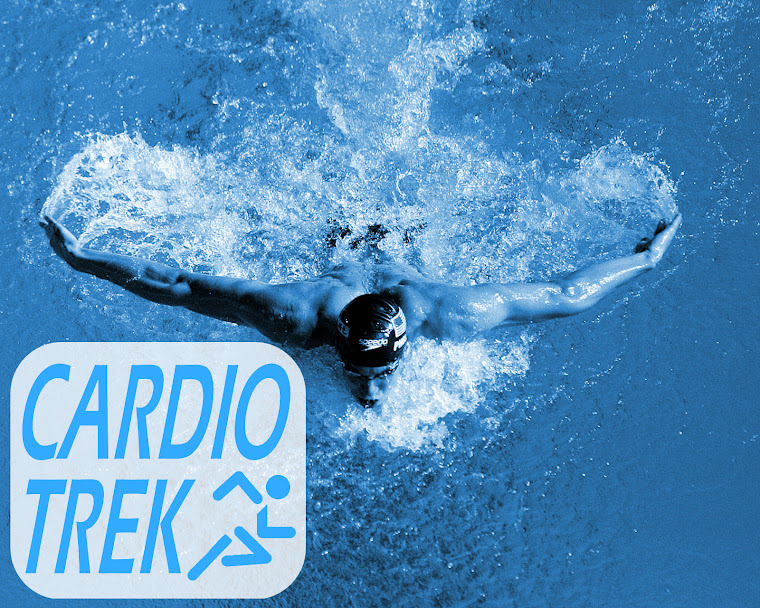 Swimming, despite being low impact, is an aerobic exercise that is a full body workout. 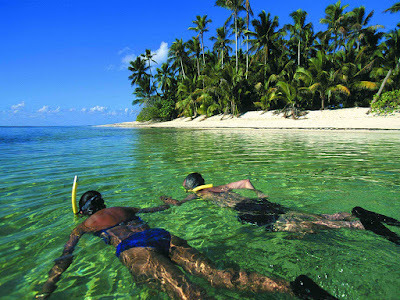 It is also one of the most accessible sports as you can swim in public pools, rivers, lakes and the ocean. 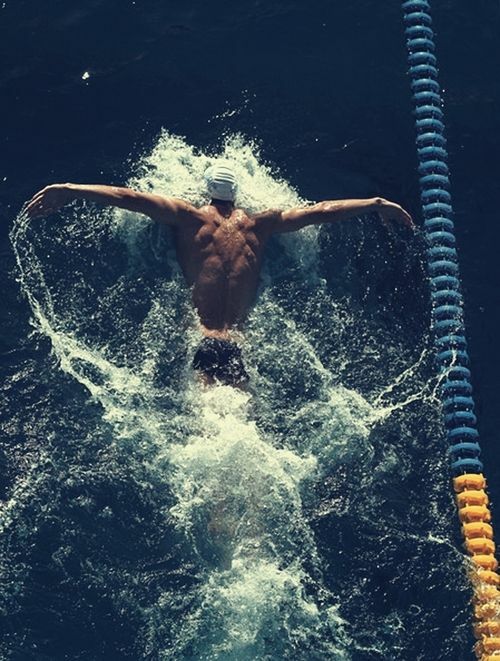 The best part of swimming is that you are getting a great workout without stressing your joints. Swimming is perfect for those carrying recurring injuries and want to get back into shape. 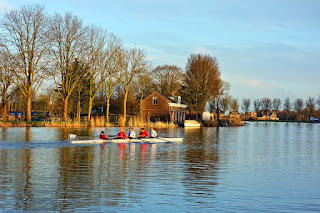 Rowing is a must try if you want to lose weight and get a great upper body workout to boot. Your shoulders, back, and biceps will be tested and that means you will burn 560 calories per hour. 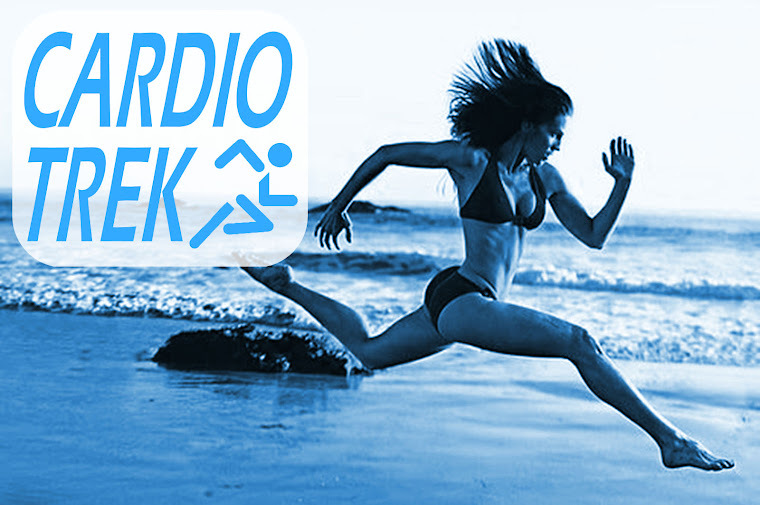 As mentioned, a strong back and shoulders is needed to excel in rowing, so before you try out this sport, you might want to fortify your back by performing the exercises Cardio Trek suggested in ‘6 Exercises for a Stronger Back’. To be a boxer is to be in the peak of physical condition. Going 12 rounds in the boxing ring is one of the biggest tests of endurance an athlete can go through. Boxers burn upwards of 600 calories an hour. While it may be a step too far to get into the ring in competition, boxing training is a highly effective way to burn calories and build serious strength. Note - While Cardio Trek does provide boxing lessons for people in Toronto, it should be noted that we favour a more relaxed and jovial approach to teaching boxing wherein we focus on exercise and having fun. People who want to do boxing as a serious sport are recommended to go to a dedicated boxing gym and find a boxing coach who teaches competitive boxing. Learning a martial art like Tae Kwon Do or Karate can have the same intensity as boxing, but with a different focus. 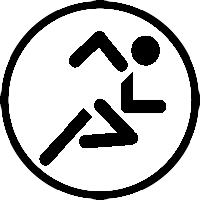 As kicks, elbows, knees, grappling, and even wrestling are all allowed in some martial arts (eg. Judo combines wrestling with throws), martial arts training is a true full-body workout. You will be burning between 400 to 600 calories an hour. The intensity and pace of Lacrosse, along with carrying and swinging a lacrosse stick, make it a highly effective sport for becoming physically fit. Upper strength along with good cardio levels are required to play this sport, which is why if you are looking to burn calories it is a good place to start. 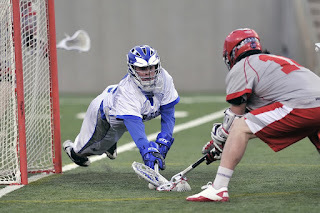 Lacrosse is one of the potentially more violent sports on this list, and compares to say "ice hockey" and has a reputation of being pretty brutal. There are many other sports worth trying and plenty of other reasons why you should play sports aside from that fact that doing so burns calories. Playing sports improves all aspects of health such as enhancing heart function, lowering cholesterol levels, improving blood circulation, and decreasing hypertension and stress levels. It also brings forth positive energy, promotes discipline, and builds self-esteem. So, what are you waiting for? The time to play sports is now! Keep your dogs away from developing health problems by ensuring they get their dose of physical activity! Obesity or overweight in dogs can cause them to have joint and heart problems, diabetes, and more. What’s a better way to keep them healthy and moving by doing something fun together, right?! 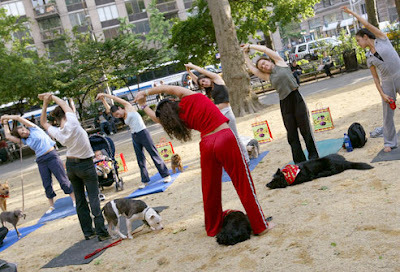 Here’s a list of fun ways to workout with your dog. 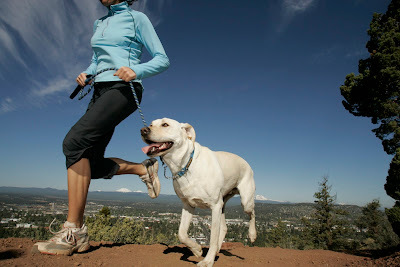 Join forces with your loyal companion in achieving that healthy and fit bod! Have a spectacular time with your four-legged friend with a breathtaking view! Dogs also love nature and they definitely love exploring. 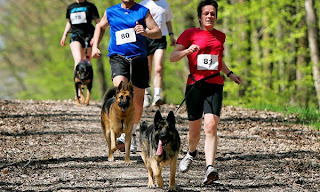 But there are also some considerations you should be aware of to ensure your dog will be able to keep up. This includes their fitness, behavior, age, health, and size. For your next trip, be sure to pack the essentials for your buddy! Just like humans, they will need some food, water, and their doggy bowl. And one more important thing is to consider all the precautions and safety measures for the both of you! Introduce him or her to a blissful jogging! You might’ve guessed that being on our list. Which really should be! Running is one of the famous and basic ways of staying active and fit. It may also be the easiest way to incorporate your dog into your workout routine. For starters, you could use a leash and train them to run beside you. This will take a little time - but patience and consistency are key! Also, consider the heat and humidity. Dogs have small amounts of sweat glands, and they get rid of heat through panting and only sweat through their paws. Level up the workout and fun with some obstacle course! This can create a challenge for both the dog and owner with its various exercise equipment. Some basic obstacle course items include a teeterboard, tire jump, a dog walk and a tunnel - which you can build in your own backyard. 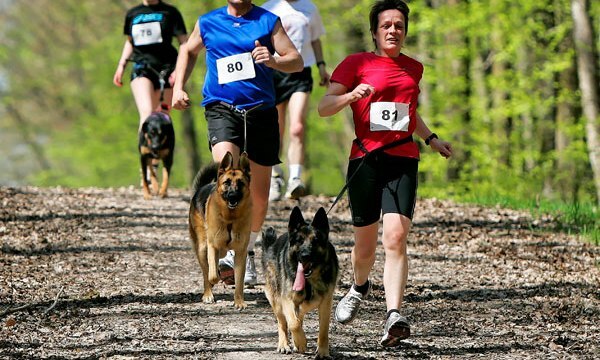 Just keep in mind the safety and well-being of your dog while you set up the course. Unwanted accidents may also occur sometimes which can be treated by their vets. A wise advice, be prepared in advance and don’t put your finances in jeopardy with expensive vet bills! Have your dogs insured and be more financially smarter! 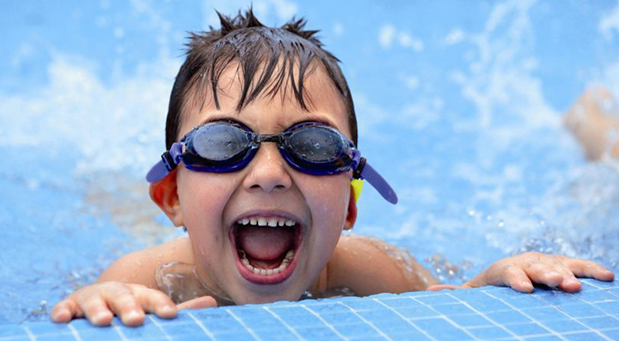 Enjoy the water and burn some energy with your playful bud in the pool or beach! 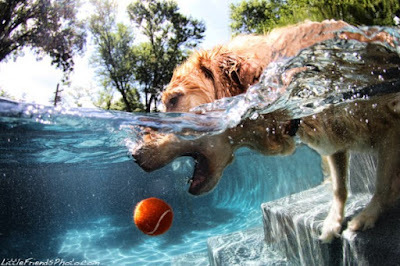 Some dogs may be scared of the water at first, but they will get used to it after some few tries. And if you really do love swimming, water-loving dog breeds like the Golden Retriever or American Water Spaniel will be your best swimming buddy! Swimming is also beneficial for old dogs suffering from joint problems or hip dysplasia. For starters, you can have your dogs on a leash and walk by their side in the shallow area. Slowly let them get used to having their feet wet and the rest will follow. What are you waiting for? Chill by your pool or hit up the ocean! Dogs are known to be crazy for retrieving items - be it their favorite toys, a ball or frisbee. Thus, they love fetching! This is a game they seem to not get tired of. And there is a scientific explanation backing this up. Dogs have been with us for centuries and they were used for hunting in the early ages. The behavior of running after something that is moving is still instilled and built-in dogs. This behavior is self-reinforcing to them and makes them feel good! Dogs aren’t just the one who should enjoy fetching while you just stand and wait for them. Try making this game more active and rigorous by incorporating some of your muscle-building moves like crunches, lunges, and squats while he or she retrieves. 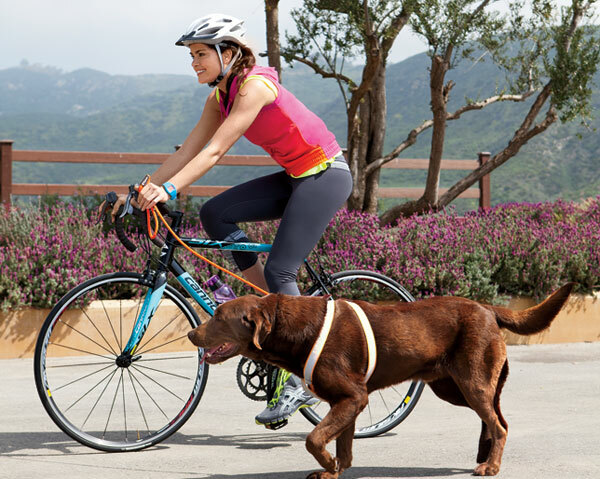 Another cardio you can do with your dog pal is cycling. It’s a great workout for you and can help build your leg muscles. This is especially great for dogs that are always excited when running! You could bike around at a fast pace and don’t have to worry if they can keep. It’s best to engage in this activity in a safe bike trail or terrain where you can avoid traffic from other vehicles. Whatever the season is, with the sun showing high up or snow falling, there are always activities you can do outdoors for fun! 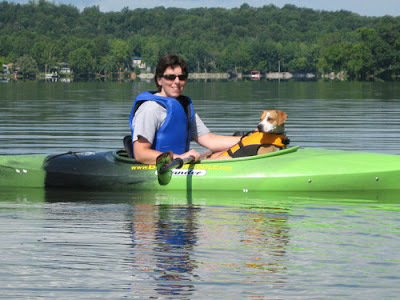 Go surfing or kayaking with your dog in the summer, snowshoeing, skiing or snowboarding through winter, and a lot more! 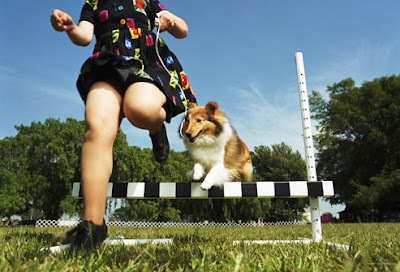 Dogs are smart, active and trainable - try exploring new sports with them! Guest Post by Angie Earley. When the summer heat’s coming, you’ll bet that everyone around you is running to the nearest pool of water. While there are people that live in more populated areas and those that don’t, there’s surely a body of water somewhere. Like most people, when we think about getting away from the summer heat, we’ll dive into a pool of water. For others, they might feel like diving into a river or lake instead. Is it better? We’re going to discuss the pros and cons of swimming in pools vs. rivers and lakes. There’s a clear difference between rivers and lakes, and many people have the two confused because their terms are sometimes used synonymously with one another. Here’s the difference: A lake is usually a still body of water that’s surrounded by land and usually surrounded from all sides. The only exception to this definition is if it’s being fed into by a river, stream, or other moving bodies of water. A river, on the other hand, is a natural flowing stream of water. The water that comes from a river usually ends up in an ocean, sea, or lake. To illustrate, a river usually flows into a lake but a lake does not usually flow into a river. Yes, swimming in a pool by consensus is much better than swimming in a river or lake. Let’s review the pros and cons. Swimming in a pool by tradition, is incredibly clean, has much less diseases, and is much safer. Pools are usually sanitized and monitored by either the home owner or, if you’re swimming at a recreational center, then it is quality controlled by the facility. Pools are cleaned and sanitized with chlorine with a certain level of standard for cleanliness. 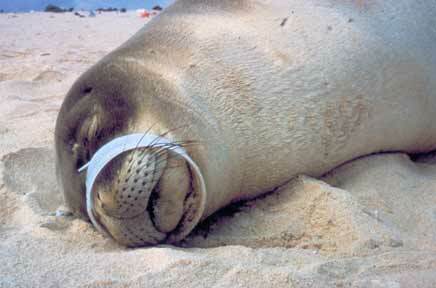 The way they’re maintained eliminates the risk of diseases and is usually much safer than swimming in open water. We do know that depending on the area that you’re living in, pools can be inaccessible. It can also be expensive especially if you have to pay membership dues in order to even use the facility in a recreational manner. On the top of that, although there’s usually lifeguards watching over swimmers, it can still be dangerous. But to circle back around to the point, those are the pros and cons of swimming in a pool. The only real benefit of swimming in a river or lake, are: It’s free, you have complete freedom to do what you want, you feel liberated, you’re surrounded by nature. But aside from these benefits given to us by Mother-Nature, swimming in a pool is still the better choice. For one, there are always things lurking around in the waters and that isn’t just limited to animals or sea creatures. Natural bodies of water are usually home to thousands of tiny organisms naked to the eye, but it’s also a good breeding ground for parasites and diseases as well. There’s a certain attraction to the imagination when someone thinks about swimming in a natural body of water like a lake or river. And yes, there are people that usually loves Mother Nature so much, that all they want to do is swim with nature. However, when you weigh the pros and cons of doing so, instead of swimming in a pool, generally, the risks outweigh the benefits. The real question is, to help anyone make an informed decision, is: “Why put yourself through the dangers of becoming sick or infected by parasites for something so second-handed like swimming?” Certainly, anyone that cares for their lives, will see that it’s simply not worth it. Swim in a pool instead and shelter yourself from any foreign diseases. Author Bio: - Angie Earley is a founder of PoolVacuumHQ.com blog; it’s a blog about Pool Cleaning tips, guide, reviews, news, equipment and events. 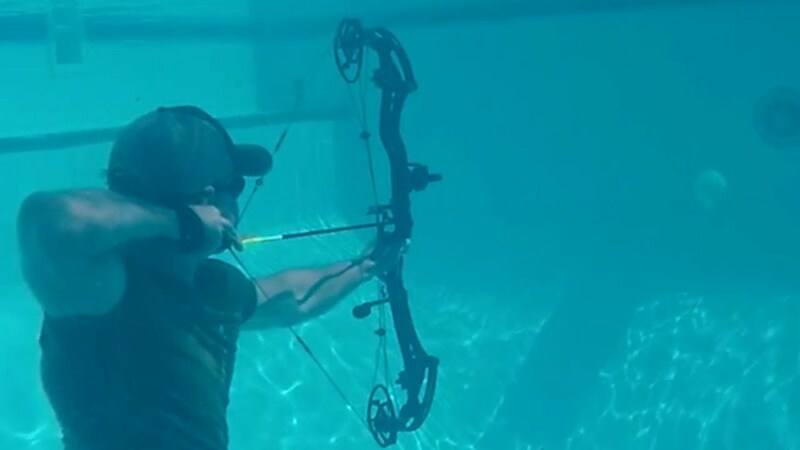 For those people who love finding something fun to do in the summer - and for those people who are fanatics about both archery and swimming - here are 3 ways to have fun while combining the two. #1. 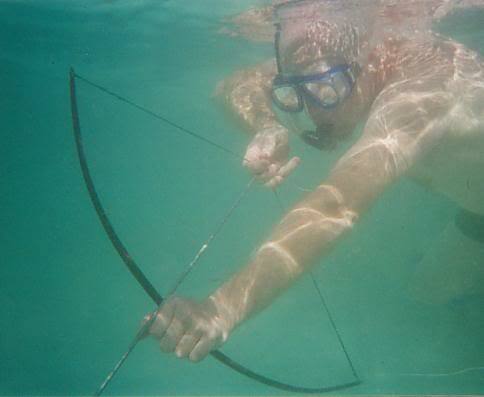 Snorkeling + Target Practice. 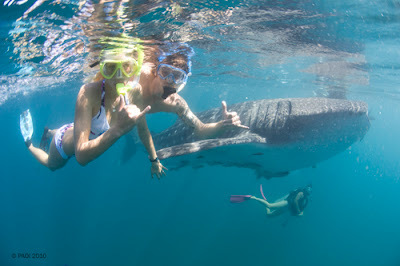 Truly for those who love snorkeling and a challenge. Balloons that are weighted down make for good targets. #2. Archery Diving - tricky to do, but something that will be a real challenge. 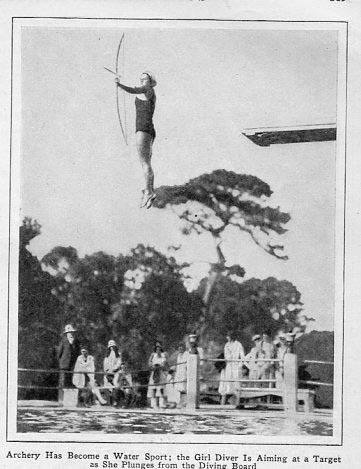 Not a lot of people have attempted archery trick shots like this since the 1950s. #3. Bowfishing while Wading in a River. 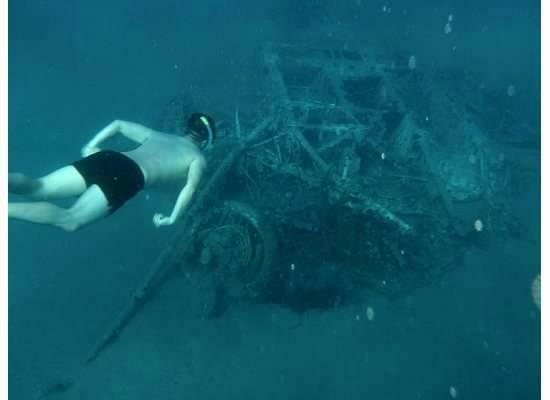 Not really swimming, but still something fun to do. Just need a fishing license and a bowfishing reel. Only legal during carp bowfishing season, which in Ontario is May to July. #4, #5, #6. Archery Surfing, Archery Kayaking, Archery Windsurfing, etc. Just because nobody has ever done it before does not mean it is not possible to try it. 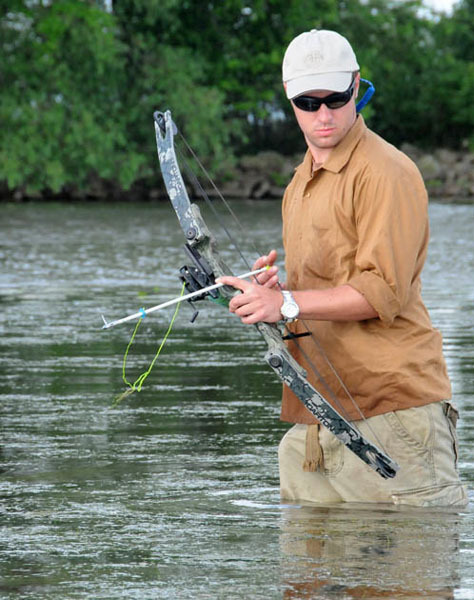 For safety purposes I recommend using blunt tipped arrowheads when doing archery trick shots while doing water sports! From June 26th to 30th I will be away on vacation - hiking, fishing and camping - and will not be answering emails very quickly during that time period. The location I will be hiking will be along the Niagara Escarpment of Ontario, which has many cliffs, rocky outcroppings, waterfalls and other sights. Below is a map showing waterfalls that dot the landscape along the Niagara Escarpment. 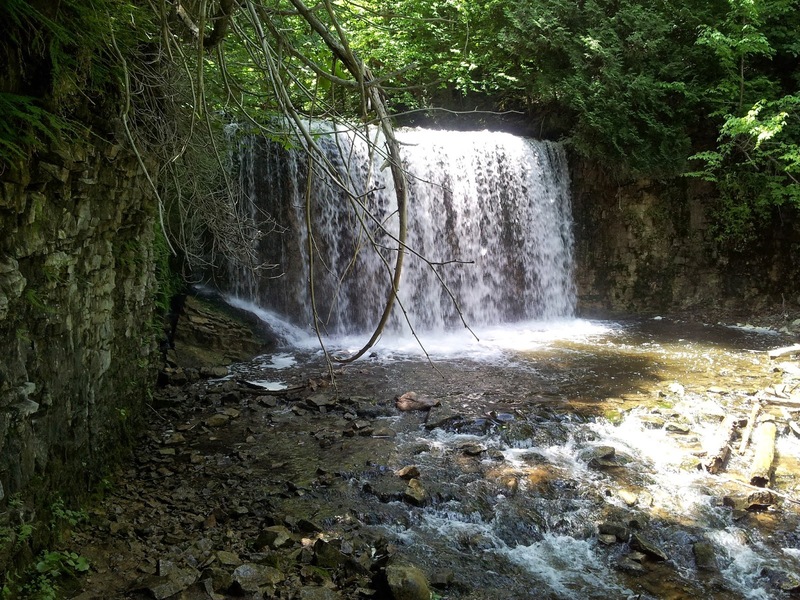 One of my personal favourites to visit is Hilton Falls near Milton, Ontario - not because it is the closest to Toronto, but because you can walk both on top of the falls and also behind the waterfalls. To get to Hilton Falls it is a roughly 20 minute hike through the woods from the parking lot. There are many places within a quick drive from Toronto where people can go to exercise, go hiking, cycling, swimming and many other activities. #1. Take your dog jogging! #2. Take your dog to the beach - go swimming and play frisbee! #3. Doggie Weightlifting - this is you lifting your dog up in an affectionate manner and rubbing their belly, then setting them back down, and repeat. You dog will think it is a game. #4. Take your dog cycling in High Park. #5. Join a Meetup Group for people who enjoy dog-related activities. Learn more by browsing the different meetup groups for Toronto dog owners. #7. Mountain Hiking with your Dog. #9. Dog and Owner Hurdles. #2. Build a sandcastle - if you are moving sand around, it still counts as exercise. #3. 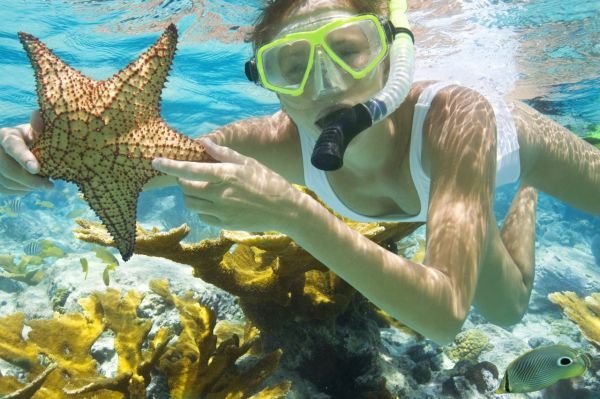 Go snorkeling in the water! #4. Try Rock Balancing. See my post "Sculpture as Exercise". #5. Fly a Kite - admittedly this could burn very little calories, but if you run with the kite it burns a lot more. #6. 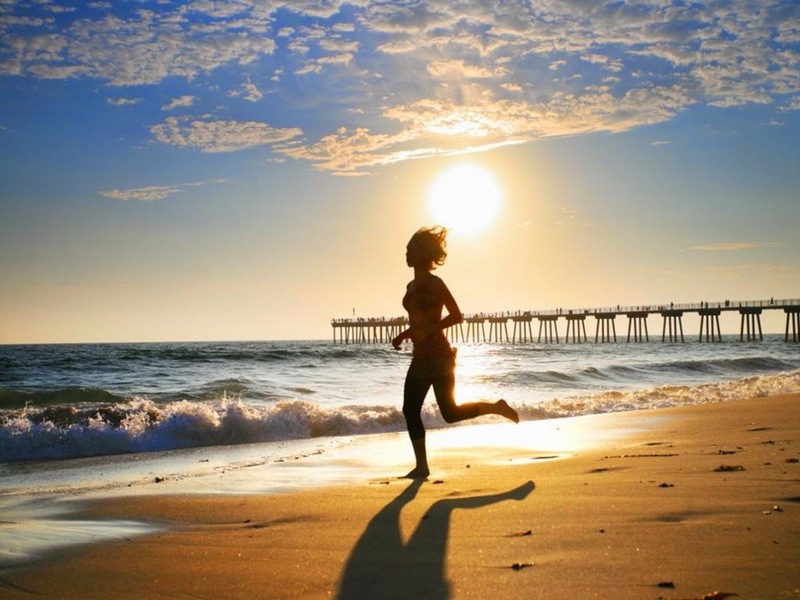 Go for a jog or run along the beach. #7. Do yoga at the water's edge. #8. And the classic, go swimming! 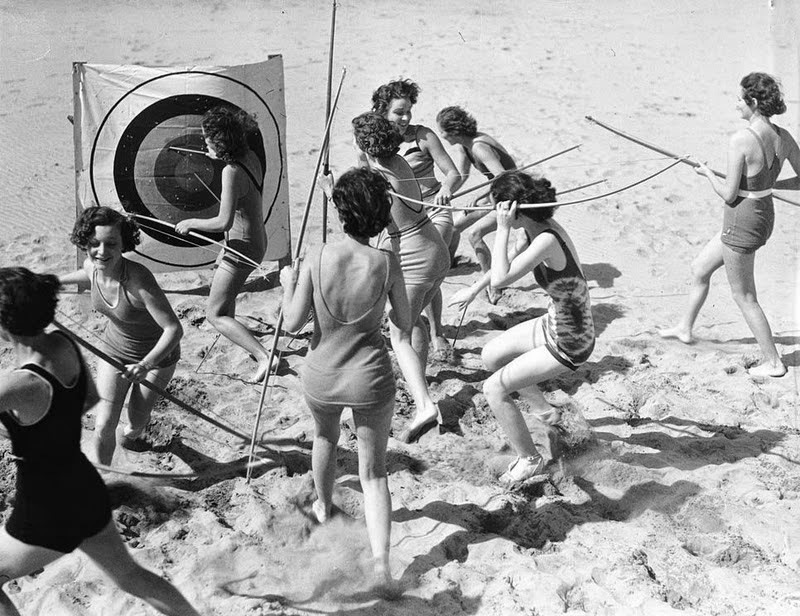 Archery on the Beach - this used to be a pretty popular activity in the 1950s - but now it is banned in some locations. eg. 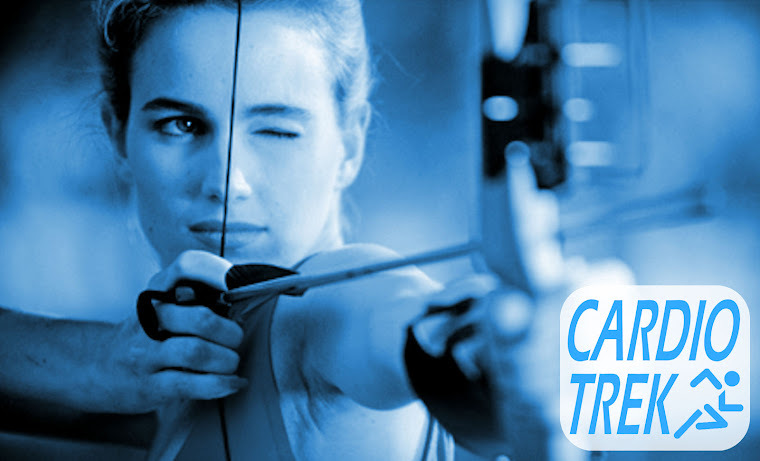 You cannot do that in Toronto, but there are other beaches within an hour drive of Toronto where you can do archery at. Check the local by-laws to be certain. You will need your own equipment and you will still need to establish some safety guidelines so you are not shooting near people (reckless endangerment = fine + possible jail time). Best way to do it is to pick a secluded beach which has almost no people there. Rock Climbing, Waterfalls Exploring, Spelunking and More! There are many great ways to exercise, but the following is several of my favourites. Some of these you can even do as family activities, but others are dangerous and children should not be doing them at all. Use your better judgment. Some of them are also very frugal and won't cost your wallet much. 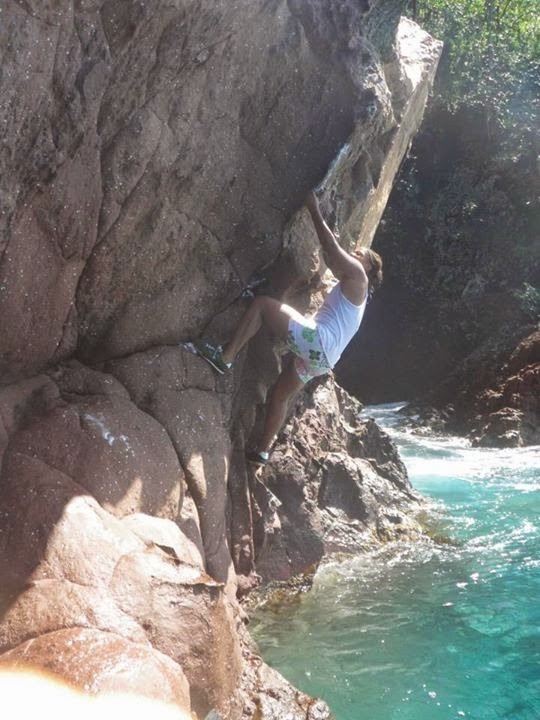 Now I don't mean going to a special "rock climbing gym". I have never done that, although I presume it is still fun to do that indoors with the safety of a harness and first aid kits nearby. You can still do that if you wish, but for myself I do Freehand Rock Climbing - no ropes, no safety harness, if I fall, I fall and hurt myself. Don't climb anything freehand unless you are absolutely confident you can climb it without falling. Stick to small climbs first as you build up your strength and skill. Always be certain of your footing or handholds before you go to the next foothold or handhold. Remember to plan your route back down. Sometimes getting up is easier than climbing back down. 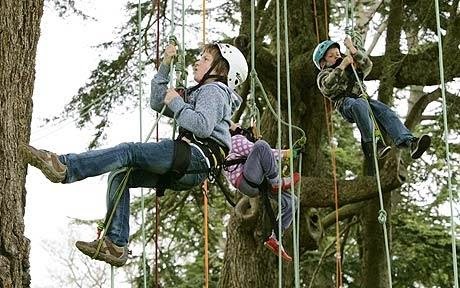 If you don't think you can do it, maybe it is time to crack out the harness and ropes. Safety first. This is a bit like rock climbing, but the surfaces are going to be slippery. Often you need to climb over wet rocks that are slippery, but it is a lot of fun to work your way around and get behind a waterfalls - or even go swimming below it (warning - if there is signs that say "no swimming", that means this falls is powerful enough to have undertow that can drag you under and kill you. Only swim near the base of a waterfalls that is relatively weak). The photo on the right is of Hogg's Falls in Ontario. Wear super grippy boots that you don't mind getting wet. Wear gloves, possibly even grippy fishing gloves. Wear clothing you don't mind getting wet. Avoid white t-shirts unless you enjoy showing off. Don't bother trying to climb the sides of the waterfalls. It is too slippery. 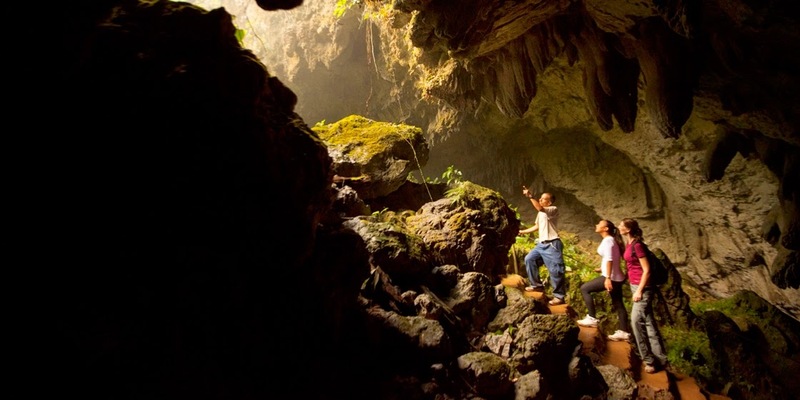 Otherwise known as cave exploring or cave diving, spelunking is an amazing activity to get into if you love exploring geological formations, crevices and caverns. Flashlight or headlamp is very handy. Try getting guided tours of caves (ones with stairs, safety bars, etc all in place) first so you know what to expect. Take a spelunking safety course. 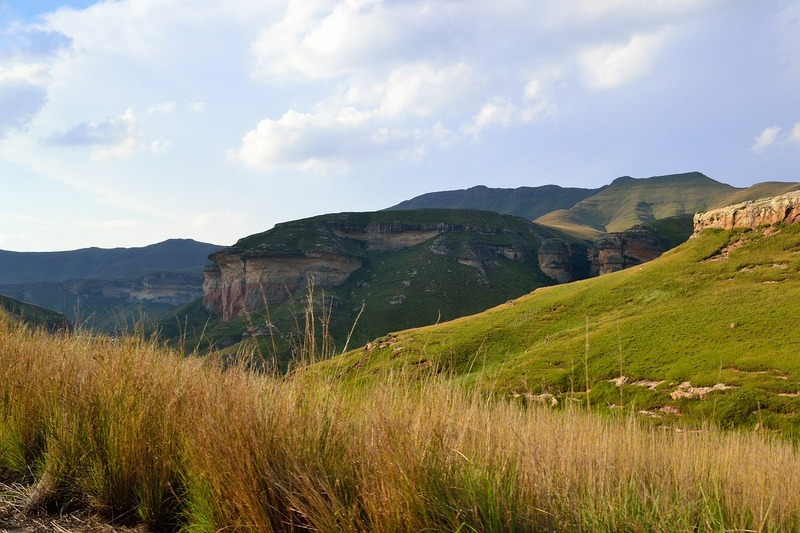 Bouncing over rocks while cycling down a hill might not sound like your cup of tea, but to those who love it then it is certainly a possibility. 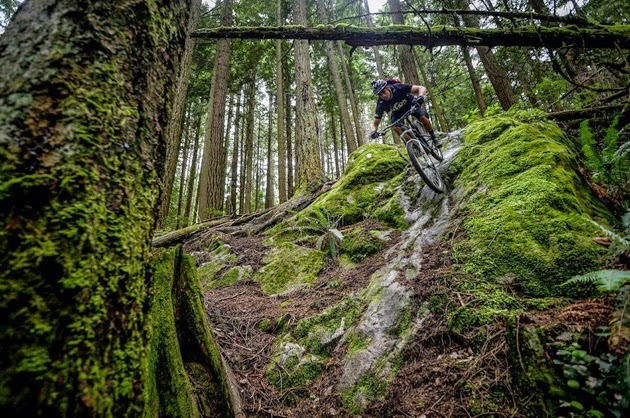 Start slow, stick to the easy cycling trails and work your way up. Also, buy a better bicycle that has higher quality shocks and sturdier tires. You don't want your equipment to fail if you go over a rock your bicycle simply could not handle. 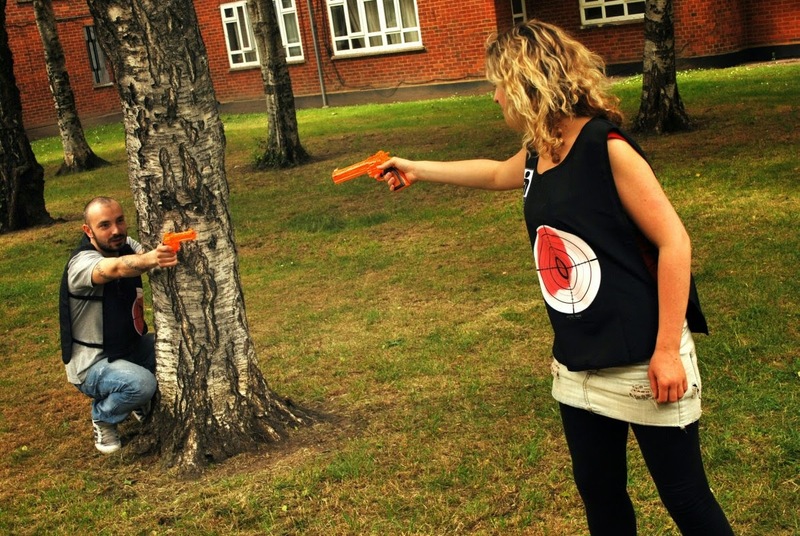 If you are familiar with parkour / freerunning, then you also know this activity normally occurs in an urban environment. But there is no reason why you could not do this in a more natural terrain - using rocks and trees as your obstacle course. 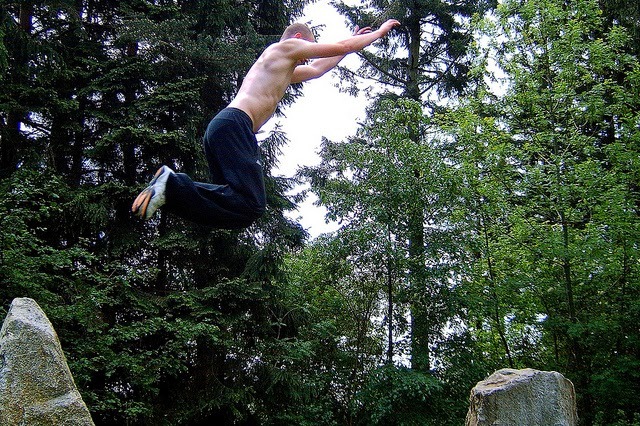 All you are really doing is applying the same principles of parkour to a different landscape. And by this, I am referring to climbing trees using ropes, helmet and a harness. You could climb the bottom reaches of the tree freehand, but once you start to go high enough that you might run into a weak limb that could snap underfoot it is time to get the rope and harness out. The views from the top can be pretty spectacular. 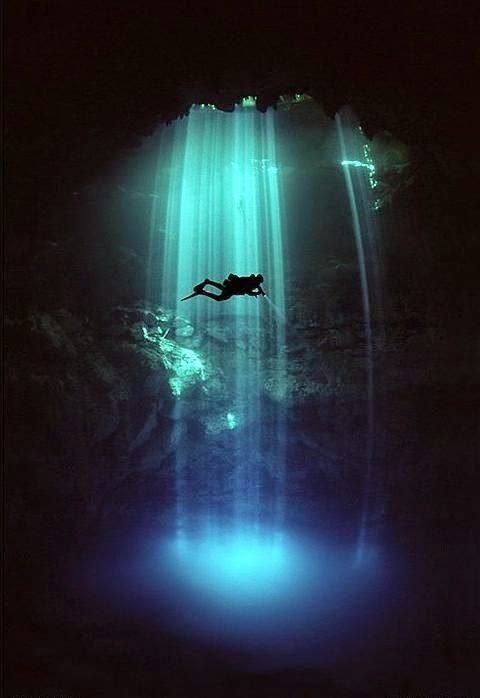 See #3 above, but add in scuba gear. 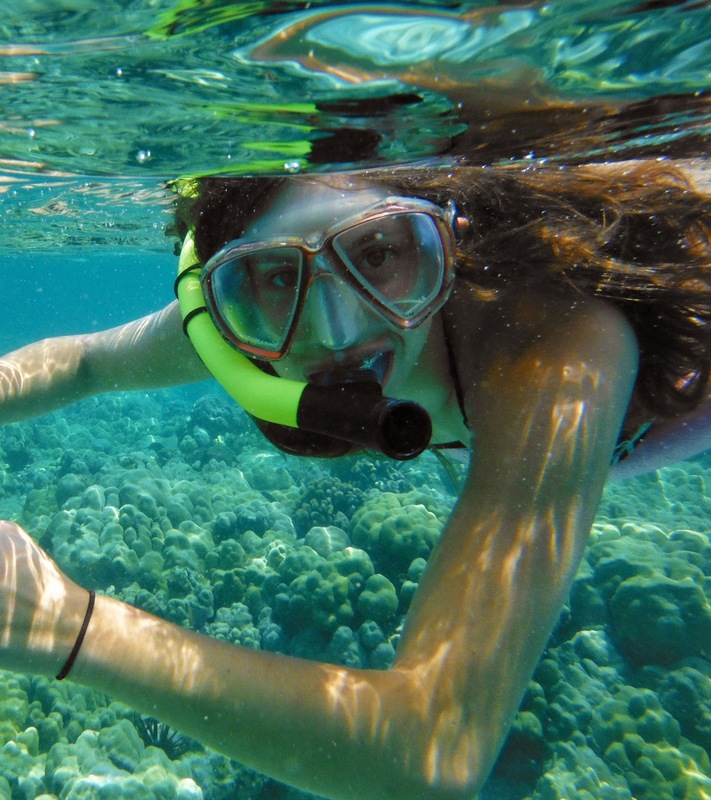 You will need snorkeling lessons, scuba lessons, and eventually underwater spelunking lessons. This activity is both expensive and dangerous. Definitely not for children either. Normally rock balancing is an activity done by one person who just lifts up a rock and then balances another rock on top of it. Extreme Rock Balancing is done by a team of people using much larger rocks, ropes, chains, pulleys, ladders, the whole shebang. You will need a group of friends (preferably friends who are also into rock balancing), and you will probably want one person to document the whole project using a video camera. Muscles will only get you so far with this project. You will also need patience and perseverance. And friendships will be tried and tested if you get into an argument about how to best achieve the finished product. You will also want your finished product to last. You won't want it falling down the first time a teenager comes along and gives it a push. 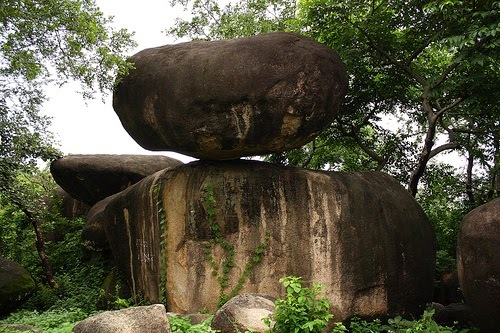 Thus aim to your rocks large enough - and well balanced - so that it wouldn't fall down even during a small earthquake. 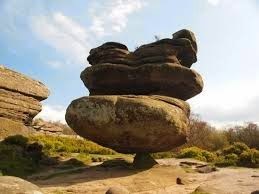 Some people might want to cheat and use a crane or tractor to move the rocks, but if men of old can build Stone Henge and the pyramids of Egypt, certainly a group of adults can balance some rocks without using machinery. Unlike normal rock balancing you probably will not be balancing multiple rocks together. But one or two should be possible. Best of all your end results will stay up for a long time and baffle future generations.